Which carry-on to buy? It’s a jungle out there. But, after sifting through the options with a discerning eye, you’re sure to have an Orwellian moment – some are more equal than others. EbbyRane’s luxury carry-ons tick all the boxes for travelers wanting quality, attractive luggage that stands the test of time (and the odd bit of turbulence). 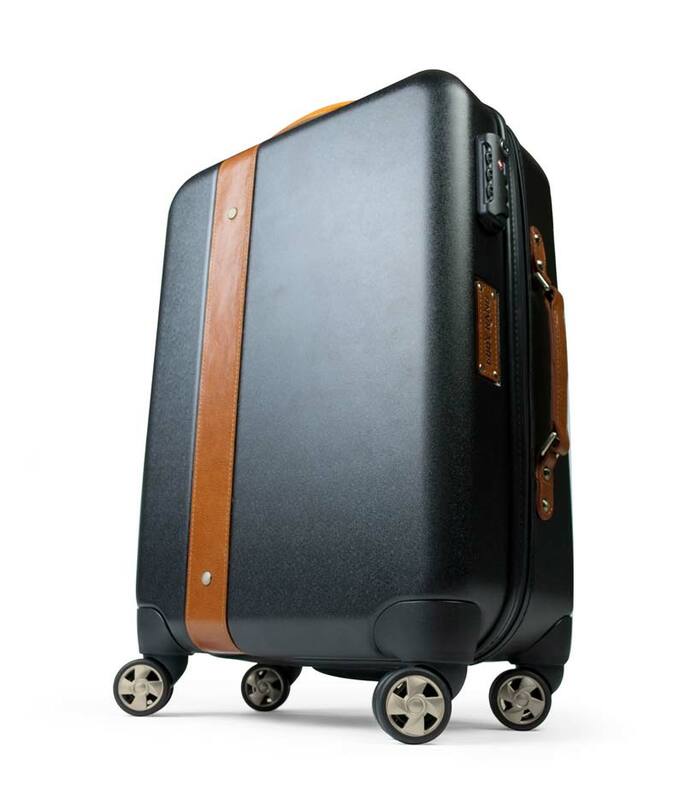 EbbyRane’s luxury carry-on luggages have been described as the most organized luggage on the market. 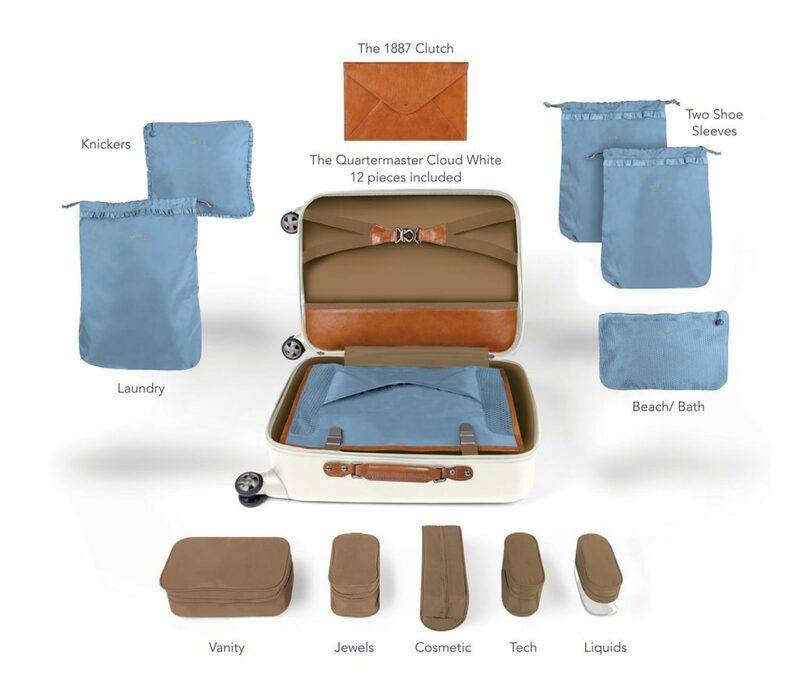 Our unique packing system includes 12 carryalls and packing cubes that provide special places for, among other things, shoes, intimates, laundry, toiletries, cosmetics and liquids. With a place for everything and everything in its place, our carry-ons are synonymous with simplicity. IS IT THE RIGHT SIZE AND WEIGHT? EbbyRane’s Quartermaster comes in at 21″ x 14″ x 9″ (53.3cm x 35.5cm x 22.8 cm). This is just under the maximum allowable dimensions for carry-ons on most major airlines. Light weight and durable, The Quartermaster is just right at 3.2kg (7lbs), without carryalls. 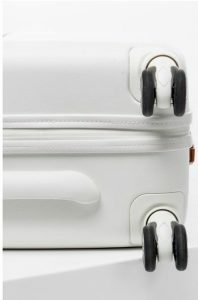 All EbbyRane’s hard-shell carry-ons are made of virgin polycarbonate, which is a fancy way of saying it has a very high impact resistance, while still being lightweight. The Quartermaster is trimmed in-and-out with vegetable-tanned fine quality leather. Thetop and side leather handles for easy manoeuvring, are crafted and stitched to last, while the water-resistant zipper ensures all your precious items stay dry. All EbbyRane carry-ons come with a 5-year guarantee. Several surveys have highlighted this as one of the most important features in a great carry-on. Both The Quartermaster and The Q2 have four 360-degree wheels that make for smooth gliding (or that easy jog to closing gates!) and an upright posture. Whether it’s a Cloud White, Runway Black or Aviation gray, your carry-on, with its leather or cork trim, is the epitome of style and elegance. Our 10 gold-stamped carryalls are complete with hand-woven monkey knots and feminine ruffles. Made from fine Italian leather, The 1887 Clutch in classic cognac is designed to fit into the flat interior pocket of The Quartermaster. WHAT MAKES EBBY RANE THE BEST LUXURY CARRY-ON LUGGAGE?